The story of The D.O.C. is one of the great hip-hop tragedies. One of the best lyricists of the late ’80s, Tracy Lynn Curry aka The D.O.C., was born in Dallas, Texas, first releasing music as part of the Fila Fresh Crew. The group recorded numerous songs, some of which were released on the N.W.A. and the Posse album, before breaking up and allowing The D.O.C. to start his solo career. The D.O.C. relocated to Los Angeles and united with friend Andre “Dr. Dre” Young, and then released his debut album, No One Can Do It Better, in the late summer of 1989. Just months after the album dropped, he fell asleep at the wheel while driving home on the freeway from a late night video shoot. His car veered off the road, and he was thrown from the vehicle, bouncing numerous times on the road before almost flying off an overpass. He miraculously survived the wreck, although he required 14-hours of plastic surgery and remained in the hospital for weeks. Though the damage to his face was repaired, his vocal chords were severely damaged, nearly costing him his ability to speak. Thus, his career as an emcee was cut short just months after he began to ascend to super-stardom. Though The D.O.C. helped with the writing of N.W.A’s Straight Outta Compton and Eazy-E’s Eazy Duz It, he wanted No One Can Do It Better to be a stylistic departure from the work of these groups. The D.O.C. considered himself a lyricist first and foremost, and wanted his songs to be more evocative of the works of the artists that he idolized, like Run-DMC and Public Enemy. As an emcee, he didn’t curse. He favored Africa-medallions over gold chains. And with No One Can Do It Better, he crafted a work that stands shoulder to shoulder with the greatest albums of that, or any, era. The D.O.C. proved himself to be an emcee’s emcee on No One Can Do It Better. The straight-up lyrical and stylistic exhibitions on tracks like “Funky Enough,” “Lend Me An Ear,” and “Let the Bass Go,” are exceptional. The D.O.C. was also extremely adept at describing his pursuit of greatness. 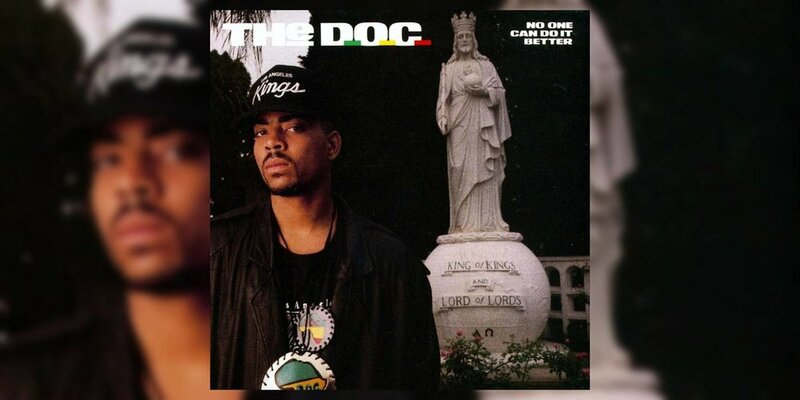 Many emcees throw around terms like, “take music to another level,” but The D.O.C. displayed a commitment to the endeavor throughout No One Can Do It Better. Songs like the title track, “Mind Blowin,” and “The Formula” detail his obsession with creating something truly unique with his music. The album was produced entirely by Dr. Dre and DJ Yella. Often the pair would forgo sampling entirely, instead replaying classic breaks and funk tracks with their own in-house band (Shout out to Stan “The Guitar Man” Jones and DJ Yella on the drums). Recreations of track by the Sylvers, Parliament Funkadelic, Melvin Bliss, and Isaac Hayes remain just as funky as the originals that inspired them. Over the years, he’s gone through extensive speech therapy and now says he can speak/rap in his own voice when he concentrates. But regardless, if he ever decides to attempt to record again, he has still missed out on nearly 20 years of recording music. Though No One Can Do It Better is one of the best debut albums ever and one of the top 15-20 rap albums of all-time, it’s also a sad reminder of what could have been. Who knows how hip-hop history would have been altered if The D.O.C. had not been in the car crash that night? Would he have replaced Ice Cube in N.W.A? Would Dre never have picked up the mic after leaving N.W.A, and just stuck to producing for The D.O.C.? Would The D.O.C. have nurtured one of the great, storied decades-spanning hip-hop careers? No matter what, The D.O.C. clearly made the best he could out of a horrible situation and blessed us all with a little musical greatness, which is a feat precious few have achieved.